Manchester United boss Jose Mourinho will reportedly look to raid Tottenham for Harry Kane if he fails to bring in Antoine Griezmann. Atletico Madrid’s in-form hitman has been tipped as United’s top priority target for the summer window. The Frenchman would cost a staggering £86 million, as the Old Trafford hierarchy have to meet his buy-out clause. But Griezmann recently has rumoured to have expressed concern about moving to the Premier League and the 25-year-old even insisted he is quite happy enjoying life at La Liga. He has shown his intent to continue making history in Spanish football and some say he doesn’t like the weather in England. Following this latest rumours, Mourinho has identified Kane as his top alternative, as per the Daily Star. The England international has already shown his class and ability at the highest level, having scored consistently at White Hart Lane for the past three seasons. Manchester United are believed to be plotting a £80 million bid to tempt the English striker from north London. However, snatching the young attacker away from Tottenham will be an easy task. 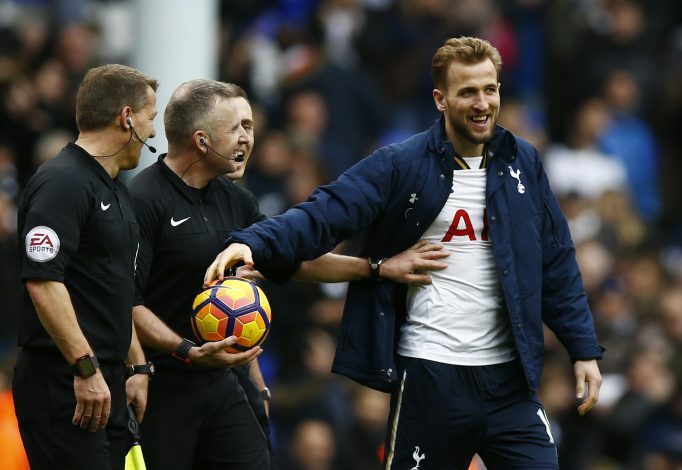 Kane signed a new contract this term, outlining his future lies in Mauricio Pochettino’s team. Also, United’s executive vice-chairman Ed Woodward thinks signing the Spurs star won’t be possible until the end of next season. His current contract runs down till the 2022 summer. But with Wayne Rooney on the brink of exit and Zlatan Ibrahimovic turning 36 later this year, landing a top-class goalscorer is the Red Devils’ main prerogative. Interestingly, they were linked with Kane last summer also and seem to have a long-standing desire.